Connecticut’s ancient system of town-based representation ensured the continuation of small town values and perspectives at the heart of the political process in a time of extraordinary economic and social change. 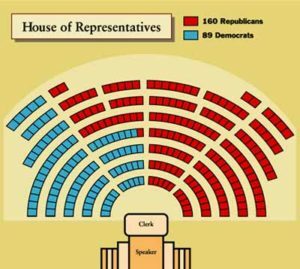 Representation by town rather than by population favored the Republican Party by limiting the electoral strength of the growing industrial cities. By the 1880s the GOP’s dominance in the legislature was well-established. When Hartford became the sole capitol in 1875, the General Assembly cut its annual calendar from two sessions to one. In 1887, the schedule was reduced further to meeting once every other year. These reductions underscore the extremely modest role the General Assembly saw for itself in a period of rapid change. 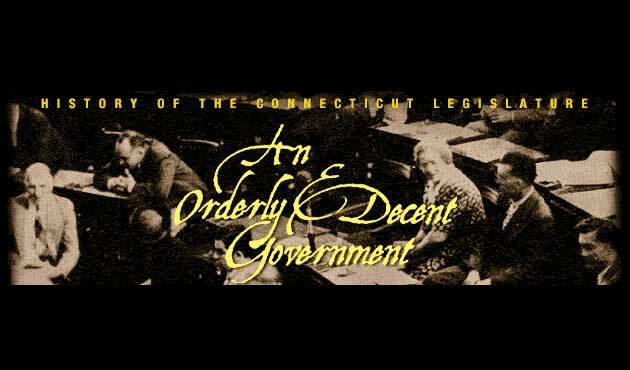 After years of agitation for reforming Connecticut’s archaic system of representation, proponents succeeded in calling a Constitutional Convention in 1902. The vast majority of delegates were legislators. Urban delegates favored proportional representation; small town representatives defended the sanctity of the town-based system. They fought to a stalemate, and their modest reform proposals were rejected. Only 15 percent of the state’s citizens bothered to vote in the referendum.